Deutsche Telekom AG today signed a nearly double-digit million euro contract with leading cargo monitoring service provider arviem AG of Switzerland. The partners will jointly offer their customers a real-time monitoring solution for freight consignments, the two companies announced. For Deutsche Telekom the partnership is an important building block for expanding its business in solutions based on machine-to-machine (M2M) communication. As part of the partnership Deutsche Telekom is providing both the hardware and the SIM cards. The software solution that evaluates the data collected comes from arviem. In the next step Deutsche Telekom will be offering a complete, single-source service, including the software. The special feature is that customers can book the solution for a fixed price (OPEX) per consignment, so major investments are not required. The business model also makes companies more flexible because they can fit out individual containers or even individual consignments on demand. The solution itself - and not just the model - is flexible. As the tracking device is not built into the container, the customer can attach it to the outside of the box himself at any time. The device incorporates several sensors that record ambient conditions such as temperature, humidity or vibrations. Furthermore, the system localizes the container's position to within 30 meters by GPS. Each customer specifies in advance which events he wants to be informed of - such as whether his container has been opened in shipping or is taking a route that differs from the one that was scheduled. The M2M solution relays the data required via the mobile network. Software then processes the information and sends it to the customer by e-mail or on a Web-based dashboard. Cargo monitoring is crucially important for many companies if they are to remain competitive. More than 16 million containers a day are under way around the world, and an average of 30 percent of freight consignments arrives either damaged or late. For Deutsche Telekom, M2M is one of its most important strategic growth areas. "We rely on strong partners in order to be able to offer a wide range of solutions and services for different industries and application scenarios. Cooperation with arviem is an important milestone in this process," said Jürgen Hase, Head of Deutsche Telekom's M2M Competence Center. For arviem, Deutsche Telekom's global presence and powerful network were what counted. 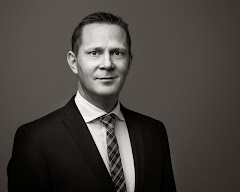 "When companies are monitoring their cargo globally in real time, they need seamless and reliable connections and services," said Stefan Reidy of arviem AG.